Henze’s Violin Concerto No.2 occupies a space between the theatre and concert stages. A dramatic work with a rôle for a speaker, it comes from the period of his interest in ‘action music’ and is scored for a large experimental chamber orchestra. Equally Janus-faced, but very different, is the Italianate Il Vitalino raddoppiato, vividly coloured and overtly romantic ‘chamber music’ that looks back to the example of Tomaso Vitali. 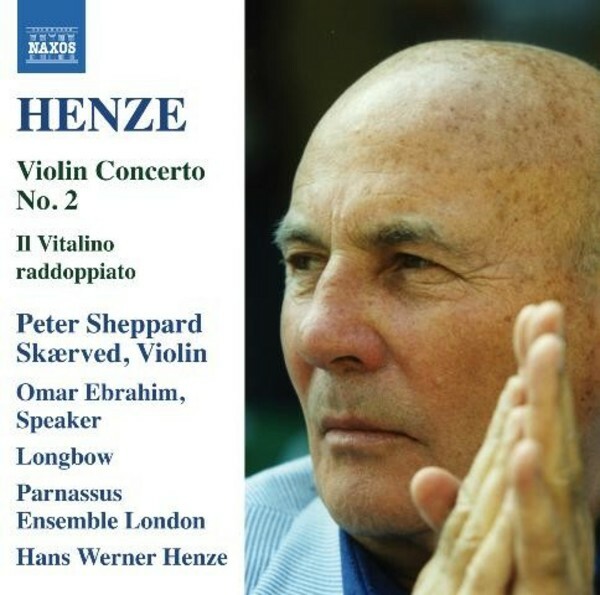 The Concerto is heard in an archive performance conducted by the composer, and this volume concludes Peter Sheppard Skærved’s survey of Henze’s works for violin and orchestra (the First and Third Concertos are on 8.557738).